What's most impressive is the accompanying 82-page "making-of-book" that explains every little step of the asylum's build. We've featured impressive LEGO sculptures on The Escapist before, but this one certainly takes the cake with attention to detail. 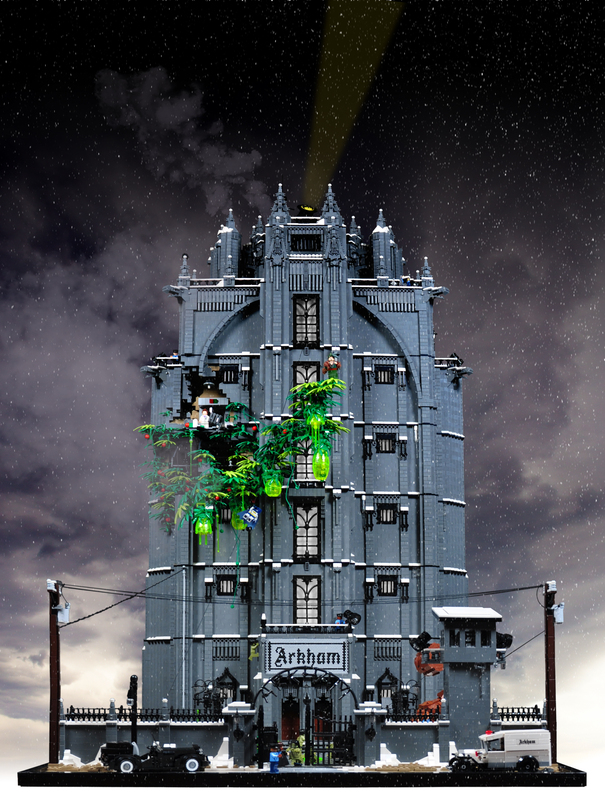 Behold, Thorsten "Xenomurphy" Bonsch' masterpiece, "Arkham Asylum". Based on the popular Gothic asylum of Batman lore, what's most impressive about Xenomurphy's model is the accompanying 82-page "making-of-book" that explains every little step behind his building process. The book, which is available both as a Flikr photostream and a free PDF download (which, be warned, clocks in at a whopping 115 MB), details every imaginable topic in the design process, from the initial inspiration to the nuts and bolts construction of various sections to reasoning behind the specific minifgures used. 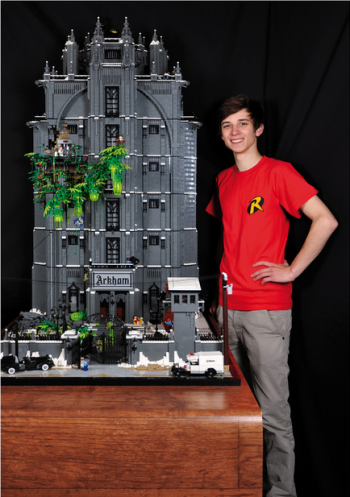 The book offers a unique look into just the amount of effort and creativity that master LEGO builders put into projects like this, and is quite an interesting read. It's offered in both English and German. But while seeing the artists creative process is certainly very interesting, the model itself is still incredibly impressive. The attention to detail on little things like the authentic 1920s cars, or Poison Ivy's cell exploding with foliage, combined with the model's massive size are sure to make any Batman fan squeal with glee. Try and spot the other hidden (and not so hidden) cameos from Batman universe characters! Enjoy a full-sized rendering of the model (click to enlarge).